We live in an age where technology is evolving every day. As a result, we saw many companies switch from paper-based systems to software that has been specially designed for warehouses. However, there are many other new warehouse technologies out there that can make a business owner’s life much easier. So, if you’re running your own company, adding a few of these into your arsenal makes a lot of sense. That being said, we came up with 5 new warehouse technologies that might be exactly what your business needs. If you’ve been paying attention, you had to hear a lot about drones lately. These little things have found their use in almost every industry and some of the biggest companies such as Amazon and Walmart now have them in their warehouses. Therefore, introducing drones into your warehouse is something you just can’t go wrong with. The best thing about drones is that they can help you organize your warehouse and keep it safe. 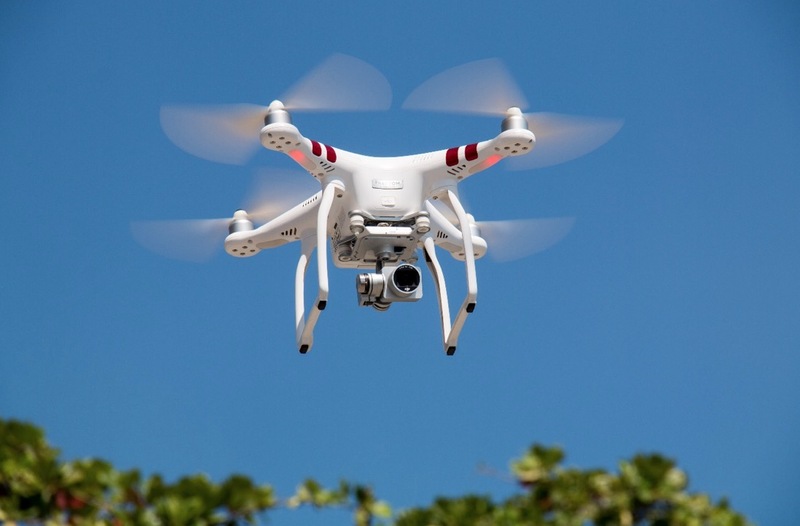 For example, you can use drones to look for misplaced stock and identify fire hazards in your warehouse. Normally, you wouldn’t associate forklift with innovative technologies. However, this piece of equipment is an essential part of every warehouse and it’s constantly getting new features business owners are guaranteed to love. For instance, some of the newest types of forklifts out there have laser-guided fork positioning. Moreover, the height forklifts can reach just keeps increasing which can help you reduce your company’s material-handling costs. So, if you’ve been looking to update machinery in your warehouse, new forklifts are something you just can’t go wrong with. If you want your business to be able to operate, your warehouse needs to run smoothly. And that can hardly be done when a piece of equipment gets damaged or broken. In a situation like this, you need to have your equipment fixed as quickly as possible. This is why it’s recommended that you look for experts who offer calibration services and can offer you a fast and effective solution to any problem you might have. It’s recommended that you turn to experts who will come to you and repair your equipment on-site. That way, you won’t have to worry about delays and being late with shipping. There’s no need to say that good communication is a must when it comes to running a warehouse. This is why many business owners now want their employees to use wearable devices that allow them to communicate with co-workers from every department. Moreover, some warehouse workers now have to wear smart watches which help their employers keep track of employee efficiency. Even though smart glasses aren’t widely used just yet, we can expect them to become the next big thing in the industry. These little things can help your employees work hands-free and be more efficient. According to the latest reports, the use of handheld devices in warehouses keeps increasing. This is mostly because new and better devices are being released almost on a daily basis. Therefore, we got to see warehouse workers use smartphones and tablets in every aspect of their work. Obviously, every modern-day warehouse is equipped with Wi-Fi, making it extremely easy for team members to communicate. Some warehouses also used RFID devices, which is also something you might want to consider introducing into your warehouse. It’s no secret that new technologies are being released every day. Some of these, like the ones we talked about earlier, have the potential to take your warehouse to a new level and help you grow your business. Of course, this doesn’t mean you should stop looking for new technologies you can implement in your operations. This article is amazing. Thanks for taking the time to write this article. Thanks for sharing this article and have a good day. Nice list! Drones are so cool for warehouses. Our company just acquired a few drones for our warehouse and it looks really cool and efficient. Technology is really making the logistics industry better and better. A interesting read, and as tech e-commerce company I find the adaption of new technologies are needed to stay relevant and show value to your clients. We are exploring drone delivery for our smaller parcels, and RFID scanning to improve stock handling and visibility in our warehouse.